Someone Once Said...: What Are You Up These Days? -Reading an awesome book about revenge. It's one of those novels set in a time that doesn't exist, in places that aren't real, with names that have never been. A fantasy novel. It's called Best Served Cold. 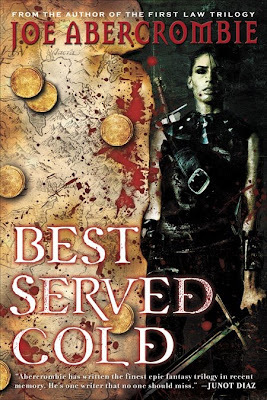 In this book a mercenary turned general of an army finds herself in a dangerous position when she is more feared, respected and adored than her leader. Having risen from nothing and become everything she is much loved by the people as one of their own and a great threat to the Grand Duke. So he kills her and her brother....or does he? She servives, barely, unbeknownst to all, and wakes stitched up Frankenstein style with the taste of blood in her mouth. Throughout the book she has a very specific list of people she needs to kill and hires a specialized crew to help her do it. 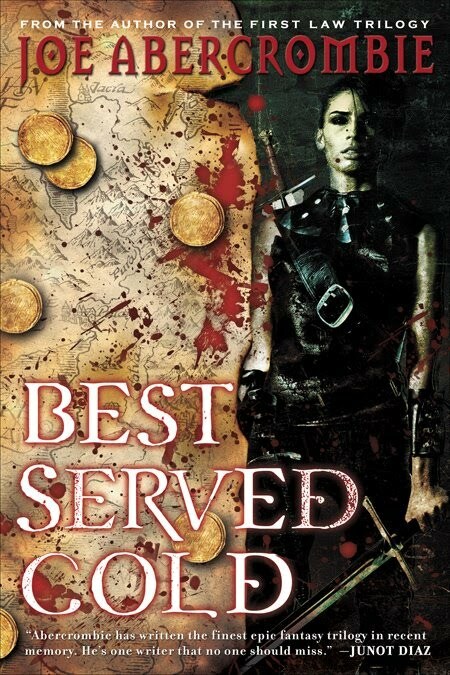 Joe Abercrombie is a very good writer, although I have to say the writing is a bit raw, if you know what I mean. -Trying out my new eyeshadows. I bought some Sleek eyeshadows from the UK , they arrived Tuesday, and am very pleased with the color pay off, range of colors, texture and durability. Amazing value for money. Eyeshadow is one of those things I always say you don't have to spend tons on so long as they meet your standards and needs. I detest colors that are too sheer. I want intense and vibrant colors, not the wishy-washy sheer pastel crap we used to get in our Barbie dress up sets as kids. -Hanging out with friends from a lifetime ago. Two good friends I met during my South American travels are visiting and we've had a great time catching up and doing things they don't usually do. I took them to get their hair highlighted (balayage style - a delicate kind of highlight that looks very natural and celebrity-ish) and Brazilian bikini waxed (for the first time!). At my salon (the one I wrote about) you can highlight, get a moisture treatment and a blowout for $70. Crazy awesome prices! - and my colorist is a color sensei. -Watching the new season of Top Chef. Am I nuts because I was sad to see crazy dreadlock guy go home? I really liked him. He had that kind of easy-going I'm-perpetually-high type personality that's so endearing in a bum, terrible teeth, matted ugly dreadlocks, and coke bottle thick glasses. A trainwreck to look at, but a total sweetheart. It's silly, I know, but I was almost depressed at the end of the first episode. I wanted to give him a hug. I hope the second one is better. On the upside, I love, love, love that Eric Ripert is a judge this season! -Thinking about how time passes. My son just turned 16 on Tuesday and I honestly don't know where the years have gone. It seems like only yesterday I was holding him for the first time - it also seems like 2 incarnations ago. So weird. I looked in the mirror this morning and saw an old hag staring back at me with medusa hair - time flies and it doesn't usually work in your favor. Labels: What are you up to these days?